Whats really making you tired at Thanksgiving? Thanksgiving is just a few days away… Crazy to think how fast this Fall has gone and that the holidays are actually here… No matter how you celebrate this holiday or who you are with one thing we know for certain is that we ALL get sleepy after eating our big feast on Thanksgiving day, but why is that? Is it because of the triptophan in the turkey? Many people seem to believe that it is. However it turns out that its more of a combination of a few different things… The first of which is the complete calorie consumption of the whole meal itself including dessert. Most feasts contain at least 3,000 calories and over 200 grams of fat, but fats take a lot of energy to digest, so the body redirects blood to the digestive system. Reduced blood flow in the rest of the body means reduced energy. The second factor is the amount of alcohol consumed in addition to the caloric meal. Alcohol is a central nervous system depressant making the brain feel fatigued. Most of us give ourselves permission to over-indulge around the holidays, however at least now you know that its not just the turkey making you sleepy, but a combination of the whole meal itself including alcohol. 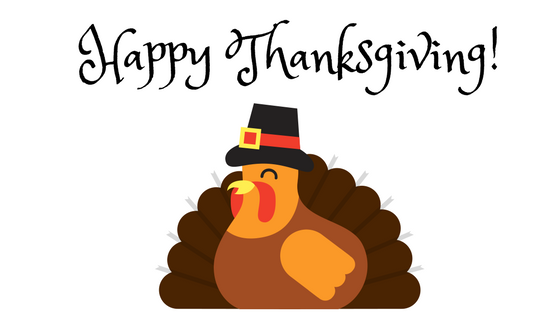 From all of us at Complete Family Eyecare, we want to wish you a Happy Thanksgiving! Enjoy the holiday weekend with your loved ones. Gobble Gobble!